If you have ever been a victim of the water damage problem, then you would know that it is a disaster with which you need all the help you can get. Water flooding your entire house is sure to damage everything it comes into contact with. And the one thing which inevitably suffers most from the standing water in your property is the floor carpet! The longer the water is left to stand in your house and flood it, the more damage it will do to your carpet. And take it from someone who is an expert in the field, you need professional help to deal with water damaged carpets in Sydney. You can’t handle the horrors of carpet water damage in Sydney; expert help to deal with the problem is necessary. Our team of experienced professionals has the skill to assess the extent of damage to your carpet and employ the most suitable treatment method to restore the damage to your carpet. The most effective way to minimize the damage to your carpets caused by water flooding is to take prompt action. Yes, you can ensure that your carpets are saved from extensive damage by giving us a call immediately! 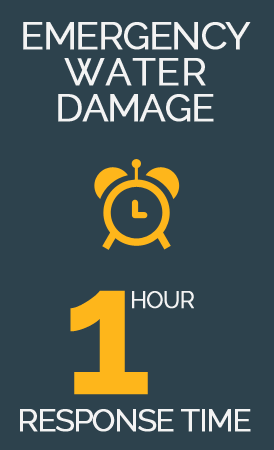 We understand the importance of dealing with water damage in Sydney, on an urgent basis; that is why our team is available for round the clock treatment of water damaged carpets in Sydney. If there is an emergency situation and you want to save your carpets from further spoilage, just give our team a call and we will rescue your carpets from extensive water damage. If your property has been the unfortunate victim of water flooding and wish to avoid carpet water damage in Sydney, then contact us on our emergency number 1300 309 276 to avail our 24 hours emergency services. We have a team of professionals who are skilled in handling a water damage job and are adept at handling the sophisticated equipment needed to deal effectively with the problem at hand. We also offer expert consultation services, complete with onsite estimate assistance. Our team is also equipped to handle the carpet water damage issues in large commercial spaces. Whether you need help for residential or commercial carpet water damage in Sydney, just give us a call and watch us work the magic! © 2012 Copyright by AIT-Themes. All rights reserved.